Longboards are exactly skateboards! If you also think it is right as many other people, then this post will clear your confusion! There are many similarities but also differences among the skateboards and longboards. You can say a longboard is one among different variations of skateboards. As the name suggests Long Boards are skateboards with bigger wheels and an extended deck. You can also find different styles and shapes of longboards available in the market today based on different taste and needs of skaters. What makes a longboard to gain skaters attention is the grace and ease with which you can ride on it and perform tricks. To be honest none of skateboard or longboard is ultimately safer for you. If you do not have enough practice to ride or perform tricks on them. However, due to their design and build quality they can help much in doing certain tricks hence safer than their counterpart. Such as Skateboards works best and helps you to do Ollies, kickflips, and aerials. For doing difficult grinding tricks like aerial, flip tricks, staircase rising and half-pipes, skateboards are the only option. On the other hand, Longboard works best for downhill, long-distance running and to perform certain balancing tricks. While choosing between the two, the first thing comes to our mind is which one is easier to ride! Well, we can’t decide since choosing one honestly depends on one’s personal needs. Longboards are more massive in sizes due to their design and build quality. So you can’t use them to perform basic or quick tricks. But they are good for longer rides and to maintain balance during the downhill ride. If we talk about the convenience of riding then without doubt longboards should be your choice. Because of their designs and built nature works perfectly to cover long miles of a ride with comfort. You can ride a longboard on almost all types of terrains other than skateboard those are only good for smooth surfaces. A big benefit of using a longboard is that you do not need to effort much into riding the same. In simple words, you do not need to pump the longboard using the foot to propel ahead as the case with the skateboard. Longboard design and shape can help you to drive ahead using your body weight. So without touching the ground, you can accelerate the speed of riding a longboard by shifting the weight back and forth. If you love to perform balancing tricks then longboard works best for the same. There is much space for a skater on a longboard. You can keep your feet comfortably on it in comparison to a skateboard. 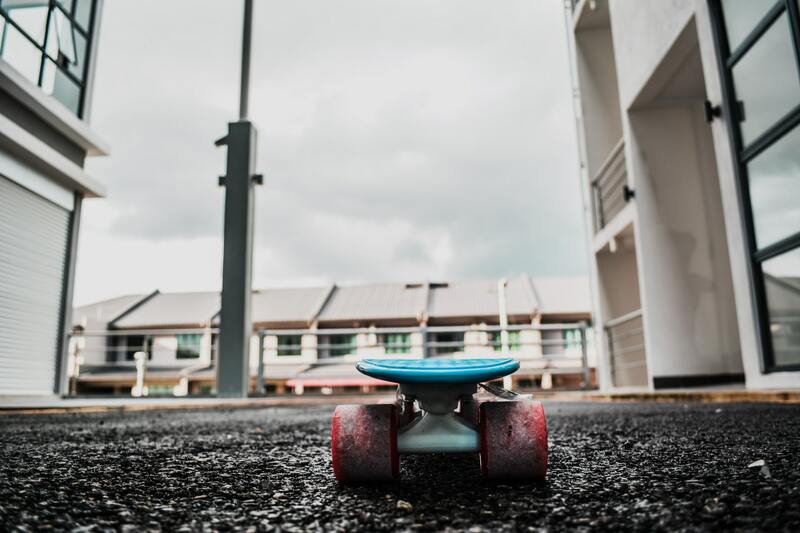 Due to the same reason, a newbie can learn and perform balancing stunts faster on a longboard. You might be having a skateboard, and you don’t want to compromise exchanging it with a longboard. Only to perform balancing tricks. In such case, you will require balancing skills of an expert level to balance yourself while performing stunts on a skateboard. Taking about the shape and size the deck of a skateboard is having a curved shape on its both sides. Such upward curves are best suited to perform tricks. However, the length of a longboard is approx. 130cm and longer as compared to a skateboard. Longboard has strips on both sides of its deck. Till now it’s pretty sure that you are having much idea about the differences between the longboard and skateboard. It will help you to decide which one to choose for skating thrill as per your preference and personality. A professional can also help you to solve the matter! I am someone who has so much enthusiasm towards skateboards. Half of my life belongs to skateboarding and want to spend rest of the living by helping other skate lovers. I try to give my best reviews on skateboard equipment, tips, and tricks.